Mokonyane strongly opposes possible SABC retrenchments - SABC News - Breaking news, special reports, world, business, sport coverage of all South African current events. Africa's news leader. Minister Nomvula Mokonyane has raised concerns about possible retrenchments at the SABC. 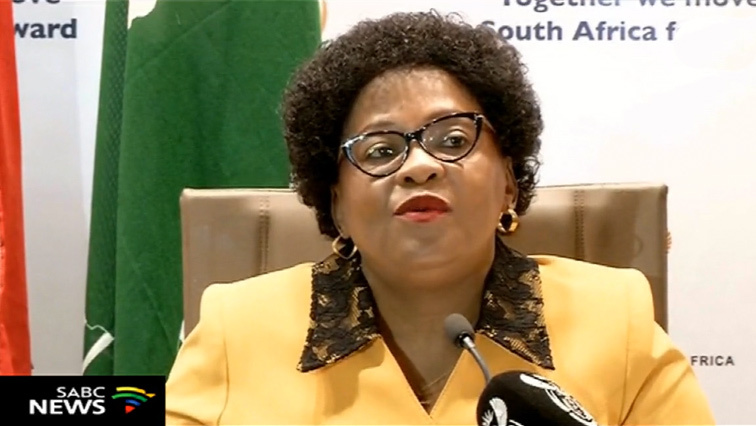 Minister of Communications Nomvula Mokonyane has expressed her strong opposition to possible retrenchments at the South African Broadcasting Corporation (SABC) as reported in the media and confirmed by the Board. The Minister, as the shareholder representative, has on few occasions met with the Board of the SABC and expressed her dissatisfaction with the preferred methods of implementation of the turn-around plan submitted by the Board to the Minister for concurrence. According to a statement from the department, the Minister appreciates the precarious financial position of the public broadcaster and the urgent need to contain costs, however she has lamented the fact that despite numerous meetings with the SABC Board on the need for a comprehensive approach to turnaround of the public broadcaster, the Board has insisted on retrenchment as the foremost and only solution. “As the shareholder, it is our considered view that any retrenchment exercise must be a last resort and an integral part of a holistic, well formulated and broadly canvassed turn-around plan aimed at steering the SABC towards future financial sustainability” says Mokonyane. The Minister has raised her concerns with what she believes is an odd approach by the Board of the SABC, which according to her ignores the advice and support of the shareholder in the process of turning the SABC around. Mokonyane says this is inconsistent with the principles of good corporate governance, mutual interest and public good. Throughout her numerous engagements with the SABC, Mokonyane insisted on the process being objective and open to technical support by the shareholder and the National Treasury. She established a Turnaround Task team comprising the DOC and National Treasury to work with the SABC in this regard. 1) Details regarding how much the said retrenchments will save the company both in the short, medium and long term. 2) The proposal to close certain offices and reducing staff does not demonstrate the service delivery impact analysis of the said restructuring and scaling down of employees per division, province and occupational category. 3) How the SABC is going to manage and balance out the short to medium term challenges in order to achieve its long-term vision set out in the turnaround plan. 4) It is silent on revenue enhancement initiatives, including an improvement plan for the collection of television licenses and the possible disposal of non-core and under-utilized immovable assets and properties, which is crucial for the financial sustainability of the SABC,” added Minister Mokonyane. “The SABC is a national asset and as a public broadcaster its well-being is not the exclusive domain of the Board and its management but that of all stakeholders with an interest in its sustainability and those include the government (as a shareholder), labour, civil-society and the broader public,” outlines Mokonyane. Mokonyane hopes that the Board and Executive of the SABC will consider the advice and matters raised issues and seek a harmonized way-forward. This entry was posted on 17 Sep 2018,06:16PM at 6:16 PM and is filed under South Africa. You can follow any responses to this entry through the RSS 2.0 feed. Both comments and pings are currently closed.